Volunteering opportunities abound with the school year starting soon. Different organizations recruit volunteers in different ways. Here’s what never changes: someone, somewhere needs your valuable time. I believe in what I call Focused Volunteering. You may be thinking, “well Cintia, what is it?” I’m glad you asked. 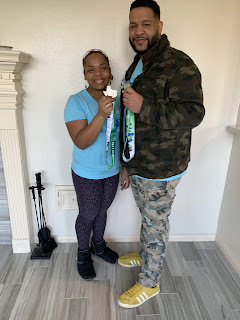 Focused Volunteering is the act of using your specific skill set and your time limitations to make the maximum impact in a particular environment. Last time I told you to ask these 5 questions before volunteering. This time I’m asking you to only volunteer if the job falls in the Focused Volunteering category. Know your skill set - You must know what your strengths are. I’m not good at setting up chairs because putting things in order is not my passion. I can’t be a good volunteer for setting a classroom up because of that simple fact. I’m not good at baking cookies because for years my kids thought that burned cookies were really chocolate ones (ops!). I am good in the area of communications. I can write a mean press release and I am excellent at writing, teaching and executing communication strategies. Because I know my skill set, I can offer more value to the organization I choose to help through Focused Volunteering. 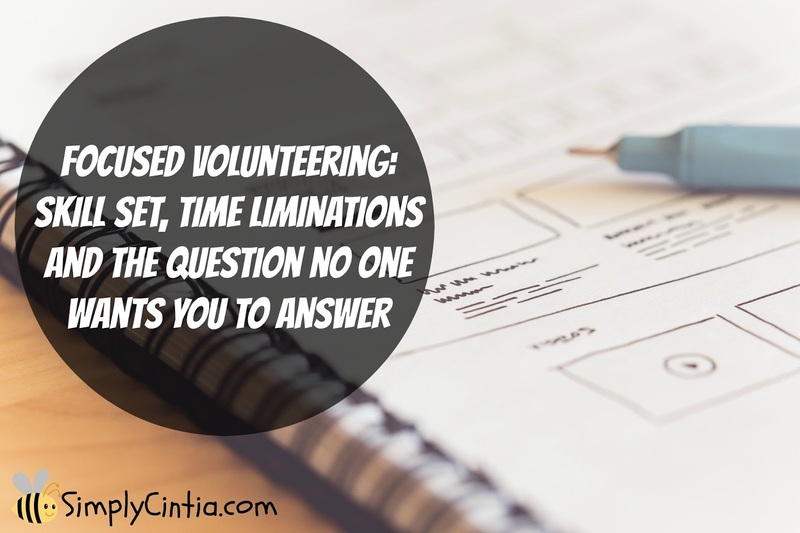 Know your time limitations - Some people have 20 hours a week to volunteer. I’m not one of them. Through Focused Volunteering, the time I do give will be well spent. Number one because it will be used in my unique skill set. Number two because I won’t be frustrated due to the obligation of filling time with something I’m not passionate about. If you can be honest with yourself about the time you have available to volunteer, you can make a greater impact in your organization of choice. Know your limits and verbalize them before agreeing to volunteer. Don't agree to hours of volunteer work if it will take away your peace and joy. Agree to what you can do well and know exactly how much time you can commit to Focused Volunteering. Social pressure - in some circles, volunteering in great volumes is like wearing a trophy. The behind the scenes tough, looks chaotic and frazzled all the time. Manipulation - be alert because this one because may come from outside or inner sources. For example, you may think, “well, if I don’t volunteer, no one will and the organization (and the world) will come to an end. I MUST SAVE THE WORLD!” You and I know this is not true. The fact is, if you don't do it all, someone with that skill set will likely show up. If they don't, someone with great potential will finally get to develop their leadership skills. Manipulation may also come from outside sources who are so badly trying to fill a position so they will do anything just to get officers in place. True service comes from a willing heart, free from guilt and filled with the joy of giving so beware of being manipulated into a position. We have all been guilted into doing something. Know your triggers and have a game plan. If you know you can’t say “no” develop the habit of asking the following question: “can I think about it for 24 hours?” Trust me, there isn’t a sensible person that will not say No to this. Use those 24 hours to meditate on how that volunteering position will impact your life. Ask yourself, "is this my skill set or an area that will allow me to grow and thrive?" Look in your calendar and see if you can fit that position there but with plenty time to do it justice. Don't stick volunteering there if you will be stretched thin. If you find that that you can dedicate yourself fully to that volunteer position, go ahead and answer my 5 questions about volunteering. Much thought needs to go into volunteering, that's why some might not want you to ask yourself "can I think about it for 24 hours?" Committing to a position should be done with thought, joy and care, always. I hope you give Focused Volunteering a try this Fall. I know this concept will be beneficial to you, your family and the wonderful organizations you serve.